Rich culture, diverse wildlife, glorious beaches and dramatic scenery are what to expect from South Africa. 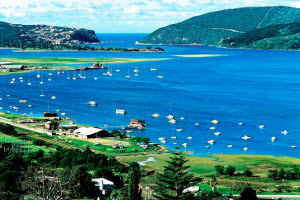 It is a country where two oceans, the Atlantic and the Indian, meet and converge to provide a spectacular coastline. 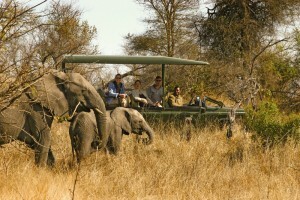 It is a land rich in wildlife where you are more than likely to spot the Big Five. South Africa teems with lions, elephants, the elusive leopard and the endangered wild dog, not to mention a myriad of antelopes, zebras, wildebeests, giraffes and hundreds of species of birds. South Africa is also the ideal place to see the greatest creatures of the deep during the whale-watching season and is one of the few places on the planet where you can spy penguins on the sands and dive with great white sharks. Add to that the lushness of the Garden Route, the bounties of the Wine Region, the riches of the Kruger National Park and the cosmopolitan glamour of Johannesburg and Cape Town and you have a land for all seasons and all tastes. To discover more about the amazing customised holidays, hotels and tours we offer and to benefit from a selection of first class offers that are only available through Travelbag then simply click the links below. 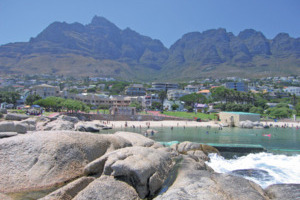 Camps Bay is one of Cape Town’s most prestigious suburbs. This popular beach village is a seven-minute drive from the city, the V&A Waterfront and Hout Bay. In addition to the main Camps Bay beach, there is also Bakoven beach, Bali Bay and the wind-free Glen beach, which is popular with surfers. 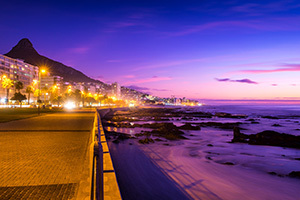 3nts Cape Town & 5nts Cape Town Beach, spend three nights exploring Cape Town city. Enjoy world-class restaurants and bars, and then make your way to Camps Bay Village set against the dramatic backdrop of the Twelve Apostles Mountain Range, minutes from one of the most beautiful beaches in Cape Town. 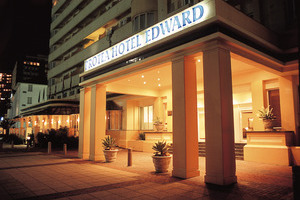 Situated on Durban's famous Golden Mile, within five minutes of the city centre, the Protea Hotel Edward overlooks the Indian Ocean and as its been open since 1911, harks back to a time of Victorian elegance and is a perfect springboard from which to explore the breathtaking beaches, rich Zulu culture and game reserves of KwaZulu-Natal. Stylish and sophisticated – just two words that can be used to describe the Radisson Blu, Waterfront; an award-winning hotel sitting on the edge of the Atlantic Ocean is one of the best locations in Cape Town. Take a once in a lifetime trip across South Africa’s renowned Garden Route, a lush landscape filled with natural beauty and culture. Meet some of the locals at a farmland school in Barrydale, journey up to the peak of Swartberg Mountains and discover the limestone splendour of the Cango Caves. Delve deep into the heartlands of the Garden Route and Winelands, seeing and even tasting the wonders of this deeply enriched area on a truly unforgettable tour. Visit the cosmopolitan city of Cape Town staying in the heart of the old town, close to many world class bars and restaurants. Venture along the Plettenberg Bay where you'll find striking scenery and some of the best beaches in South Africa. 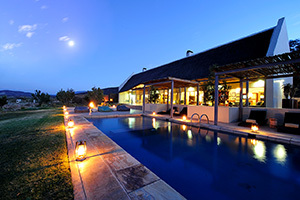 Finish your holiday with a safari at Sanbona Gondwana Family Lodge in the Western Cape with spectacular views of Anysberg-mountains and beyond. Start in Cape Town and ending in the friendly city of Port Elizabeth this short tour is an ideal way to experience the Garden Route. 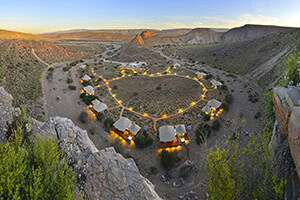 You take in all the highlights from the evocative, sepia-tinged landscapes of the Klein Karoo to jewel bright greens and blues of the forests and lagoons. 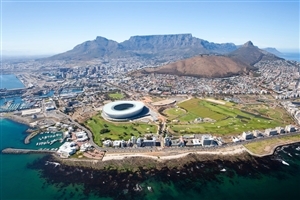 Culture, history and scenic beauty are what await you in the gorgeous city of Cape Town. Sample its highlights before traversing the Plettenberg Bay famed for its rugged coastline and striking landscape. 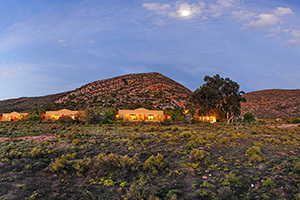 Take the chance to spot the Big Five on safari at Sanbona Dwyka Tented Lodge in the majestic Little Karoo. 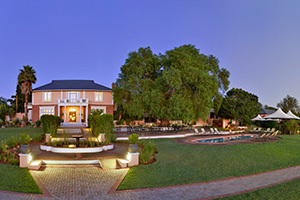 Combine the very best of a cosmopolitan city break with a laid back stay atop the heavenly sands of Plettenberg Bay. This package offers a truly diverse insight into South Africa, giving you the chance to explore its forest and beach landscapes in equal measure. 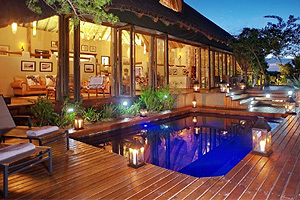 Finish off with 2 nights at Sanbona Wildlife Reserve, complete with a game drive to spot the Big Five. Experience the delights of the vibrant city of Cape Town with its iconic sights, gourmet cuisine & wonderful beaches before heading down the Plettenberg Bay, the scenic stretch of the south-eastern coast of South Africa. 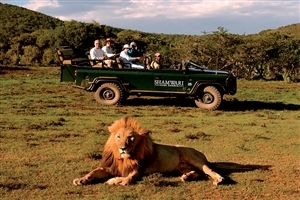 Combine this self drive with a once in a lifetime safari at Shamwari Riverdene Lodge. 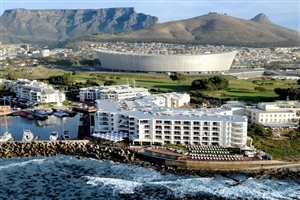 Located in the suburb of Sea Point, Radisson Blu Le Vendome is conveniently located just minutes from Cape Town. Sitting in the Platinum Mile, the hotel offers a range of comfortable rooms with modern amenities. 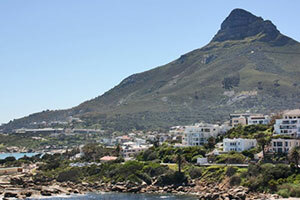 Mix beach, city, culture and wildlife on this fantastic trip to the very best of South Africa. Travel to the beautiful city of Cape Town, enjoy a self drive on the Garden Route before spotting wildlife on a safari at Shamwari Game Reserve Eagles Crag Lodge in the Eastern Cape. 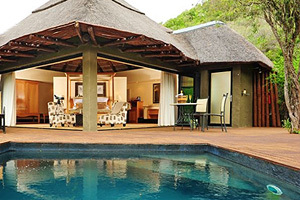 Experience the highlights of South Africa from the scenic city of Cape Town to the awe-inspiring beauty of the Garden Route and a chance to spot the Big Five on a safari at Shamwari Game Reserve Bayethe Tented Lodge in the Eastern Cape. Visit the cosmopolitan city of Cape Town staying in the heart of the old town, close to many world class bars and restaurants. Explore the Kruger National Park by game drives or walking safaris, enjoying beautiful views of the unspoilt Kruger bushveld. 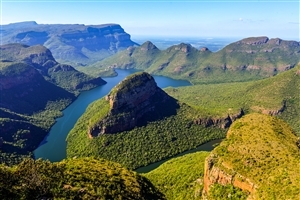 Experience the delights of South Africa on a 16 day tour that shows South Africa in its true splendour, visiting mountain and coastline and providing the opportunity to head into the wilderness on game tours before heading to the vibrant city of Cape Town.